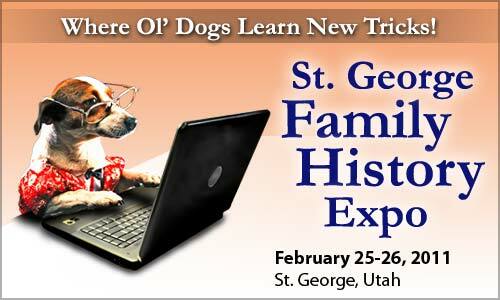 As has become an annual tradition, we are pleased to sponsor the St. George Family History Expo on February 25-26, 2011 at the Dixie Center, 1835 Convention Center Dr., St. George, Utah. Visit our booth, attend our free classes, and take advantage of our conference specials! Come learn more about RootsMagic and Personal Historian in four free classes. That’s right, these classes are FREE to anyone (but you do have to come pick up a ticket from our booth to attend). Over 100 classes will be presented by industry leaders and experts from the local and national genealogical community. Products and services from genealogy companies will also be showcased in an exhibit hall where you can meet with specialists for free personal consultations on research questions or problems. If you wish to attend the other classes, registration is just $65.00 for both days ($75 at the door) or $40.00 for a single day. Individuals who want to attend only one or two classes and visit the Exhibit Hall can register for single classes at $12.00 each. Expo details and the class schedule are available online at: www.FHExpos.com. We are the present time having a brother who is every good with RootsMagic, in our stake teach “RootsMagic” at our FHC. We have had a great response for attendance and those who have attended are excited about geneology and this program. Thank you for the incredible webinars. I love them. 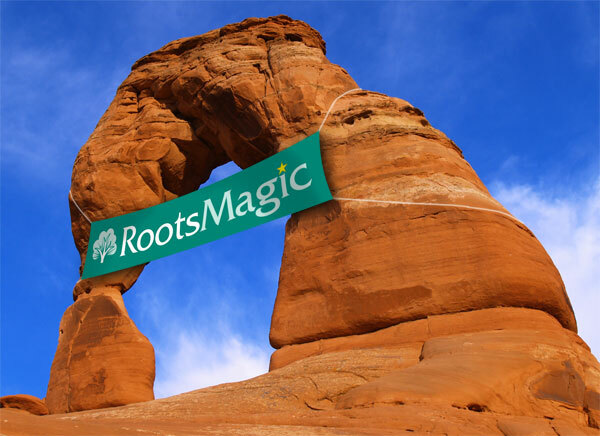 RootsMagic is a wonderful tool for those not so proficient on the computer. I was the proud winner of the Prize that was given away at the FH Expo in St. George, UT. I just wanted to thank RootsMagic for their generosity. I have been using RootsMagic 4 and love it. See you next year!